Members of the UFAA enjoy exclusive perks. In addition to showing their pride and supporting many of the programs that make UF great, members can save money or get exclusive access to programs and services. A list of benefits and unique discount codes are available to members when logged into our website. Click here to access over 200,000 discounts nationwide! As UF alumni, you may be eligible for a special discount off your auto insurance when you insure your car with GEICO. This special discount is up to 8 percent in most states and is available to qualified alumni in 47 states and the District of Columbia. $10 admission to Butterfly Rainforest. $10 off regular $40 semester fee for limited circulation privileges and $25 off regular $100 fee for limited circulation privileges. Please call 352-273-2523 with any questions. Present a valid UFAA card to receive a 10% discount on all LSAT tutoring services. Become a member of the Harn Museum of Art for free! Join here! All UFAA members receive BOGO reserved bleacher seating on Tuesday and Wednesday home games. Visit the ticket booth and show your membership card for admission. A series of webinars from leading career authors on the tools and best practices you can use to advance your career. 10% off when you contact the EE office. Complimentary access to the research database, EBSCOhost. The UFAA is proud to offer members the opportunity to attend training to improve leadership skills and effectiveness with access to the FranklinCovey Marketplace. Members receive a 10% discount at the store with their UF Alumni Association card. 10% discount on any not already reduced (special) item. Discount is not valid during special events and is subject to manager’s final approval. 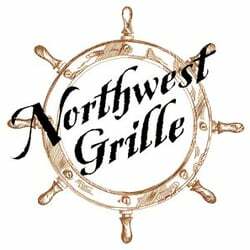 Free draft beer with purchase of meal. Table service only. Free venue rental when event is catered by D.W. Ashton Catery; Please show membership card. Mention GATOR and save 2% off your package. This 2% discount is in addition to any supplier discounts we may find for you! 10% discount off regular price on all products on website. Get up to 30% off through Dell University’s education program. LIBERTYAIR Air Conditioning & Heating Inc.
$50 off service repairs and $20 off precision tune-ups for all new customers. Valid for UFAA members by showing membership card. Qualified applicants save up to $5,000 in closing costs using discount code M97UZ2929 online at https://www.provident.com/UFAlumni or when calling 888-547-4050. 15% off regular priced merchandise in store, by phone or online. All UFAA members have access to discounted dental plans. 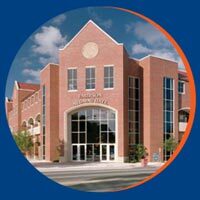 When you call to make an appointment, ask for the UF Alumni pediatric program. Call 855-UFH-PEDS (855-834-7337) and show your UFAA member card upon arrival at your appointment. Call Alamo at 1-800-354-2322 and use the discount code to receive your discounted car rental rate. Contact Tom Larkins (Gator Relocator) at 941-320-3113 for up to 55% off interstate/intrastate moves. Visit www.ovineyards.com for details. 25% discount will be applied at check-in with your UFAA card. Discounts and upgrades. Get $20 off a weekly rental. Call Budget at 1-800-455-2848 and use the discount code to receive your discounted car rental rate. Click here for a list of Choice Hotels and discounts. UF Alumni get 2% off any Disney Cruise Package. This promotion can be combined with other Disney Cruise promotions. Gator Moving and Storage, Inc.
Great Blue Real Estate Marketing Systems Inc.
20% discount to sellers and 20% rebate to buyers on Real Estate brokerage fees. Discount applies to all UFAA members and their immediate family members. 25% discount (in addition to any current promotion running), at all 8 of their hotels, with no blackout dates.